charges.(Est. 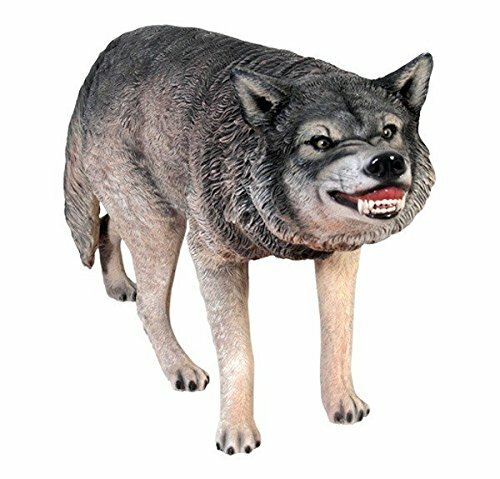 7 -10 days) Wow what a fierce looking Wolf Growling Statue. resin. Would make an excellent addition to any man cave, home or business. A reproduction made of resin and hand painted. Shipping Free via LTL Freight. Lift gate service is extra. IMPORTANT: This item will require a signature at the time of delivery. EXTRA SHIPPING CHARGES to Hawaii, Alaska, and Canada. If you have any questions about this product by LM Treasures, contact us by completing and submitting the form below. If you are looking for a specif part number, please include it with your message.